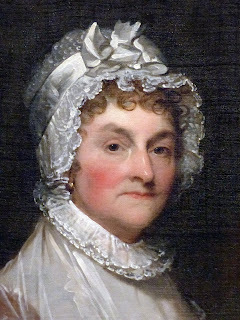 On 11 Feb 1784, Abigail Adams was preparing to join her husband John in Europe after years apart. I am lucky too in being able to supply myself with an honest faithfull Man Servant. I do not know but you may recollect him, John Brisler, who was brought up in the family of Genll. [Joseph] Palmer, has since lived with Col. [Josiah] Quincy and is recommended by both families as a virtuous Steady frugal fellow, with a mind much above the vulgar, very handy and attentive. John George Briesler had been born in the Germantown section of north Braintree on 4 Dec 1756. Starting in May 1775, he served a little over eight months in an independent company of Massachusetts militia commanded by Capt. Seth Turner. 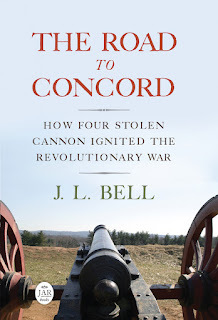 His only experience of battle, he said in his 1832 pension application, was “with the boats from the British Fleet on Nantasket beach.” Evidently he didn’t have his own land to work, but he had the confidence of the town’s richest families. For a maidservant, Abigail hoped to hire John Briesler’s sister; on “many accounts a Brother and Sister are to be preferred,” she wrote. But she ended up taking Esther Field, a neighbor’s daughter. Esther had been born on 7 Oct 1764, meaning she was nineteen. Abigail Adams and her household sailed in June 1784. She had an eye-opening time in Europe, living in Paris and then in London after John became the U.S. of A.’s first minister to Great Britain. A New England minister’s daughter, she discovered she actually liked theater and city life, at least in moderate doses. Young Esther Field seems to have had a mixed time. She resisted French fashions at first. Of even more concern, her mistress reported that “her general state of Health is very bad.” As 1788 came around, Field was sick so often that Adams even arranged for her to be treated with the “Elictrisity.” Not until February did they discover the source of the problem. TOMORROW: John Briesler had made Esther Field pregnant.